I hadn’t heard much about Karen Sharp, who doubles tenor and baritone (her name is most famously attached to the late Humphrey Lyttelton, in whose band she played for four years) until my UK friend Daniel Matlin suggested we might go hear her. What a good idea that was! 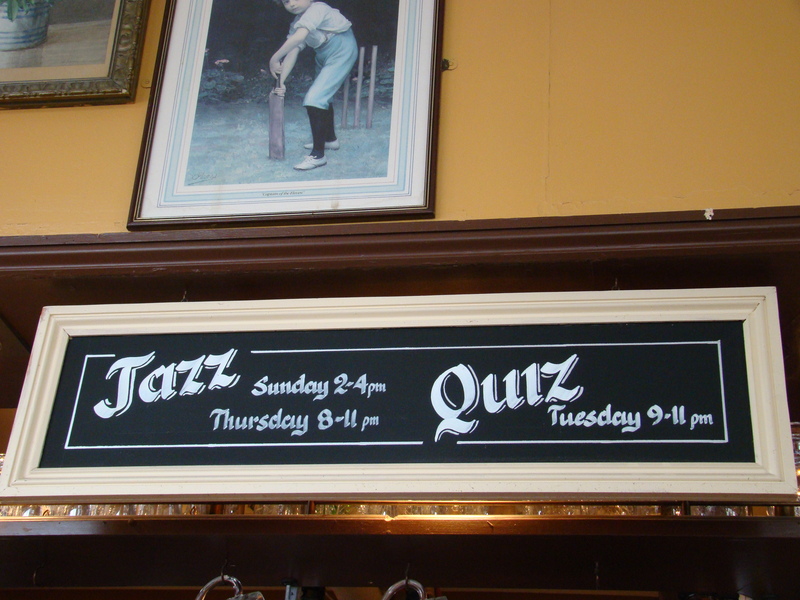 Karen was playing a Sunday afternoon gig at the Princess of Wales pub in London (not far from the Chalk Farm tube stop) — with her was the Pete Champman trio: Pete on bass, Ted Beament on piano, and Steve Vintner on drums. In the ninety minutes we heard them, this quartet performed a nice mixture of standards and surprises — from Neal Hefti to Roland Kirk, from Dexter Gordon to ballads that Karen made sound fresh. She’s a full-blown tenor saxophonist with total command of the horn, especially the lower register, which some players shy away from. She has an admirable technique, but doesn’t let it dominate her playing; rather, her solos have a conversational flavor, moving lightly from phrase to phrase, with space to breathe and reflect in between. My thanks to Karen and her colleagues for being so welcoming to an American bloke with a video camera, and my reiterated apologies to Steve Vintner, nearly invisible (but happily audible) behind a pile of upended chairs. Parenthetically, conditions for jazz players may be less salubrious in London than in New York City: the UK musicians don’t employ a tip jar, and there was no dinner as part of the gig . . . between sets, a bag of crisps got passed around. Woe! 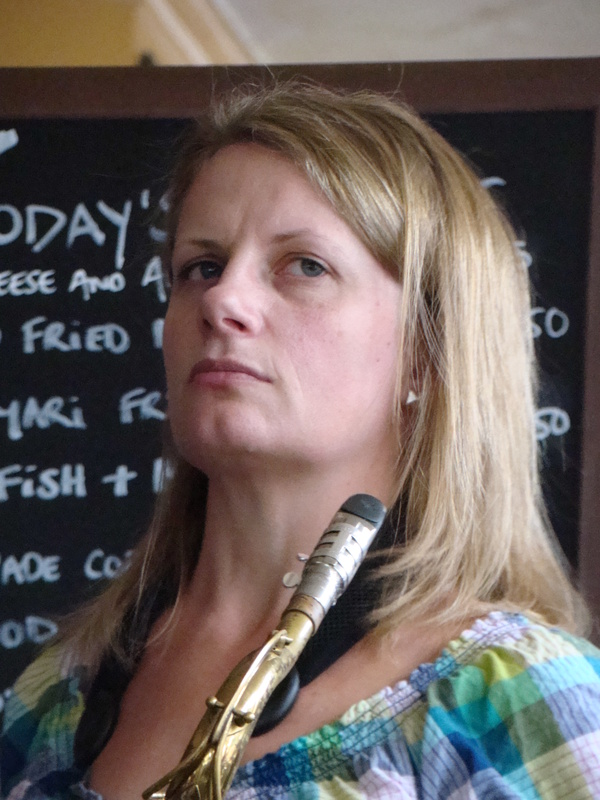 On a happier note (at least the Princess of Wales is a local pub that offers jazz twice a week), if you’d like to learn more about Karen, her CDs and performing schedule, how Dexter Gordon changed her life, and more, visit her website: http//www.karensharp.net. She’s got it!